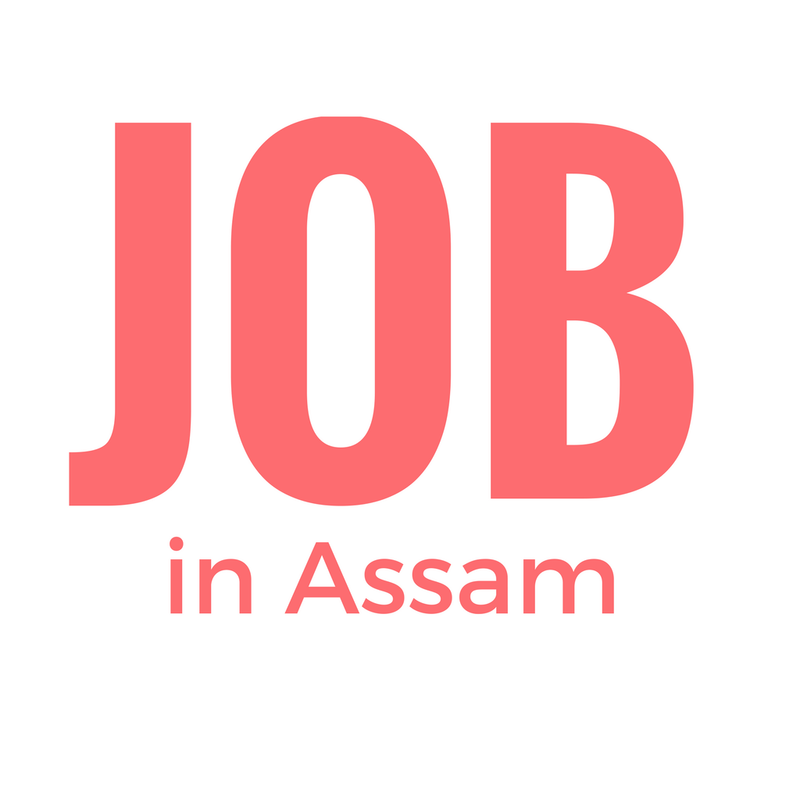 If you are looking for a Manager job in Assam, here is the good news for you. Assam State Warehousing Corporation has published a notification regarding their latest Recruitment in various posts by ASWC DM Jobs in Assam 2017. Apply for Assam State Warehousing Corporation (ASWC) Recruitment 2017. The Assam State Warehousing Corporation (ASWC) invites candidates candidates from Assam for WALK-IN-INTERVIEW for engagement of I (one) Deputy Manager, Finance, on Contractual Basis. He should supervise of various works in Finance & Accounts branch of the Corporation including schemes under RIDF / APART Project etc. The applicants shall have no claim in future for absorbing under ASWC. Assam State Warehousing Corporation invites applications from the eligible candidates to recruit in the following posts. You can view the details of eligibility criteria and other important things below. Total vacancy for this recruitment is 01 No. Monthly Salary- A Fixed remuneration of Rs. 25,000/- (Rupees Twenty Five thousand) only p.m.
Educational Qualification- Chartered Accountant / Master Degree in Commerce (Accountancy / Finance) from a recognized University. Working knowledge of Computer including Tally and well-versed in ONLINE systems. 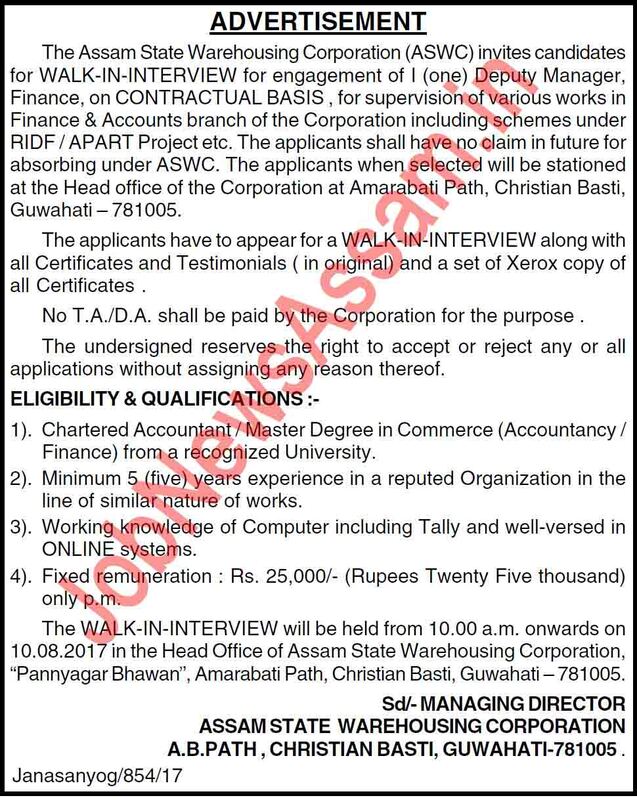 These posts are advertised by Assam State Warehousing Corporation, Guwahati to recruit eligible candidates for their department. You can apply for the post if you have the eligibility mentioned above. The applicants have to appear for a WALK-IN-INTERVIEW along with all Certificates and Testimonials ( in original) and a set of Xerox copy of all Certificates . Examination Fee- No fee required for this interview of Assam State Warehousing Corporation. After selection, the applicants will be stationed at the Head office of the Corporation at Amarabati Path, Christian Basti, Guwahati – 781005. I have shared all the important knowledge for the upcoming ASWC Recruitment for Deputy Manager here. This is completely free service for from me. Deputy Manager will be a good job for you if you are eligible for the post mentioned above, apply before the last date. Monthly pay for the Deputy Manager job is also good.